We have worked with a selection of esteemed publishers to create even more resources to get students at every level excited about words! These forty bite-size word puzzles, spelling quizzes, and vocabulary-filled stories are perfect for sharing at snack time or around the dinner table. Readers are invited to play with language, investigating sneaky silent letters and the many ways that a word's meaning can be altered by context or spelling. These super-short, storified lessons are accompanied by informational sidebars rich with tips, tricks, trivia, and interactive exercises to break down spelling basics in a fun and accessible way. This book is bursting with vibrant content themed around major US. regions and landmarks to provide a fun backdrop for stories and lessons designed to help prepare young spellers for success both on stage and off. The Bee-vetted, fully illustrated location-based stories make this the perfect book to share on road trips, buses, trains, and planes. 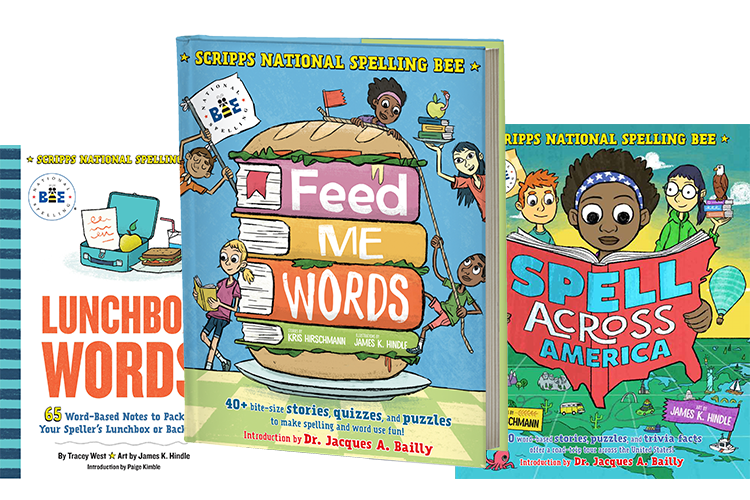 Puzzles, trivia, and informational sidebars break down spelling and word-use basics in an engaging and accessible way. Each of the warm, inspirational and aspirational notes features a Bee-selected early spelling word used in context and accompanied by its definition and pronunciation, a quick and easy spelling lesson, and an illustrated joke or quote. These mini-lessons are bite-sized and easily sharable―perfect for tucking in a book bag, lunchbox, or coat pocket whenever your speller is on the go. 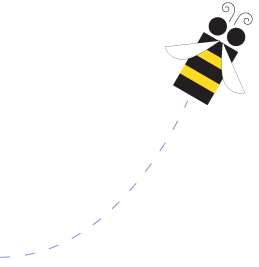 Bee participants don't just memorize sequences of letters; they celebrate the love of learning, the power of language and the excitement of discovery. These study guides for grades K-3 and 4+ provide engaging content designed to help your student increase their vocabulary. Each study guide features tear-out pages for easy access, as well as certificates of completion to help celebrate your student's success. Keep the excitement of the Scripps National Spelling Bee going with your own set of flash cards. 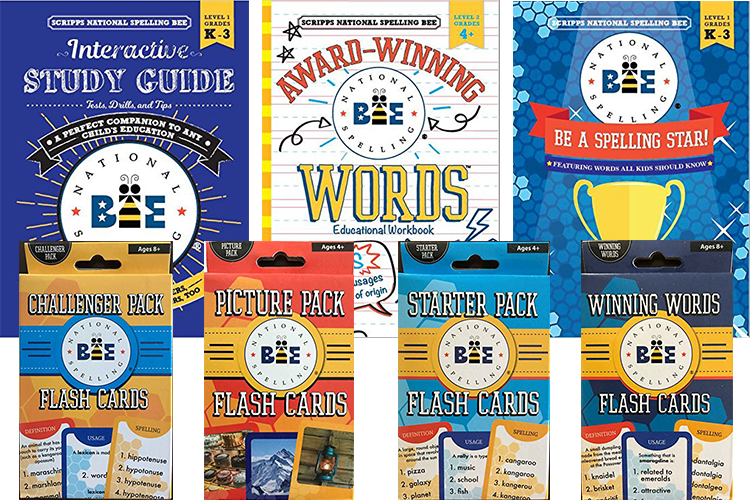 These packs for ages 4+ and 8+ each contain 35 flash cards and provide learning fun in the classroom, at home or on the go! How well do you spell? Test your skills with words chosen by the folks behind the Scripps National Spelling Bee. 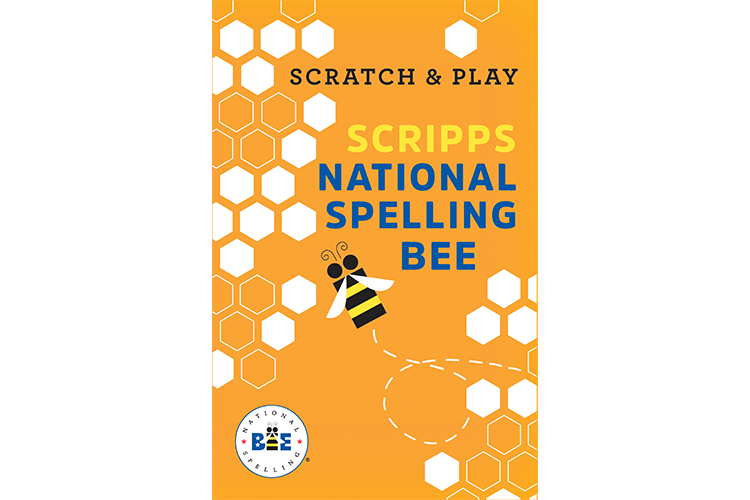 Thanks to the innovative Scratch & Play® format, you can experience the Scripps National Spelling Bee the way very few people get to: as a competitor! Each page gives you a definition and the pronunciation of a real spelling bee word, along with its origins, part of speech, and an example sentence. Give it your best shot, and then scratch off the answer to see if you're right.